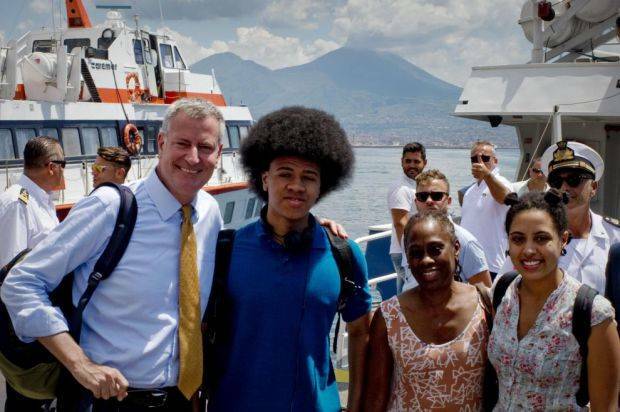 Mayor of New York Bill De Blasio arrived in Sant’Agata Dei Goti, the hometown of his grandparents, where he received an honorary citizenship. Before the ceremony he and his family enjoyed Italian pizza on the beautiful Neapolitan seafront. After a day spent on the beautiful island of Capri, the De Blasios desembarked in Naples. The first citizen of New York was warmly received in Sant’Agata Dei Goti, the town which his grandfather Giovanni left at the beginning of the 20th century. 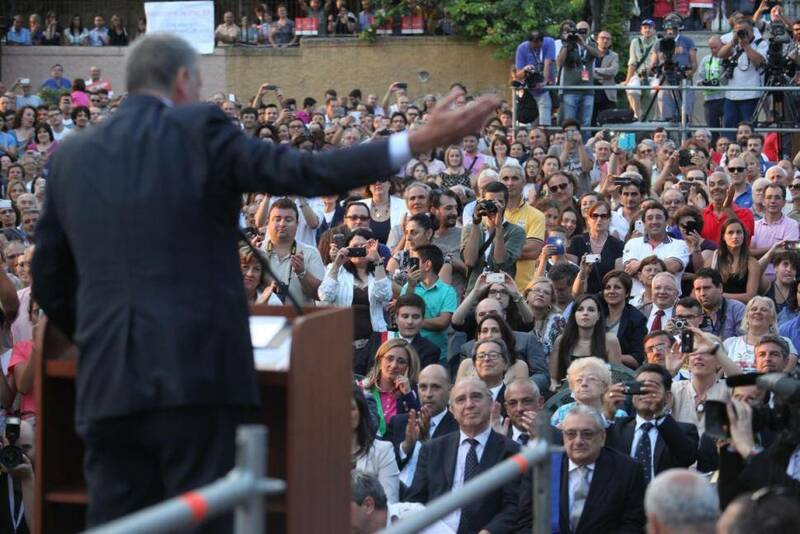 More than 2000 people were waiting for his arrival in the majestic square of Tiziano Della Ratta. 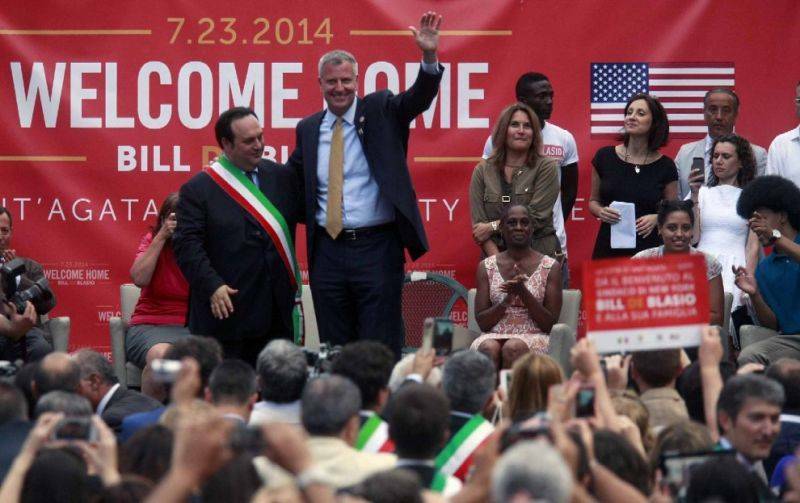 “It’s an amazing city,” said De Blasio enthusiastically about the welcoming reception. “I didn’t expect such warmth." The municipal administration organized a pompeous ceremony and awarded Mr De Blasio with the town's honorary citizenship. “Thank you very much for the strength you transmitted to me,” said the Mayor of New York, in a quite frankly, decent Italian. 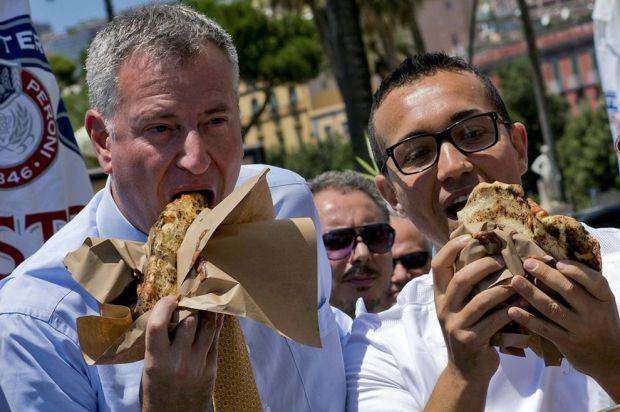 “I will never forget that here there were people who watched the New York elections,” he exclaimed, claiming proudly his Italian origins. Roberta Mongillo, lawyer and daughter of the mayor's second cousin thanked De Blasio for the joy he spread among all the people in Sant’Agata Dei Goti at the time of his election. 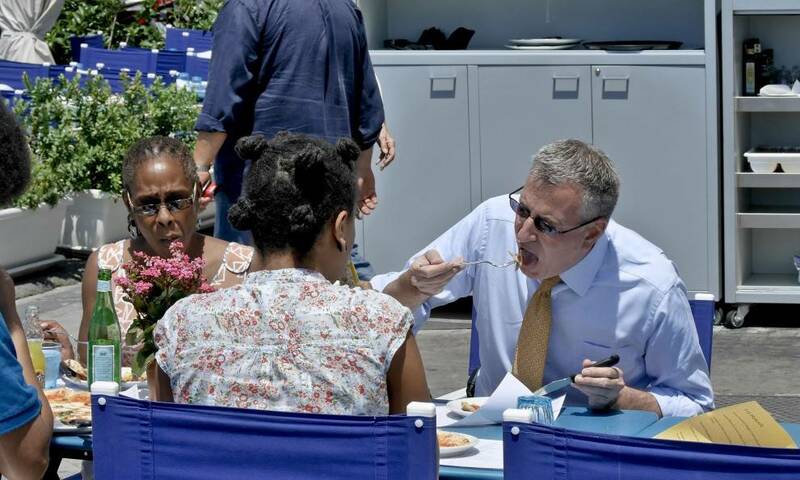 After the ceremony, De Blasio together with his wife Chirlane and his children Dante and Chiara, had lunch with Carmine Valentino, Mayor of the Italian town. A very light lunch since, when he arrived, he ate two pizzas on the seafront of Naples. The first pizza with knife and fork, in spite of what they say in the US that pizza should be eaten with your hands, and then the second one without the utensils. Later on, the De Blasios visited the Cathedral, where the first citizen of New York was very touched by the words of the priest who spoke about his family. 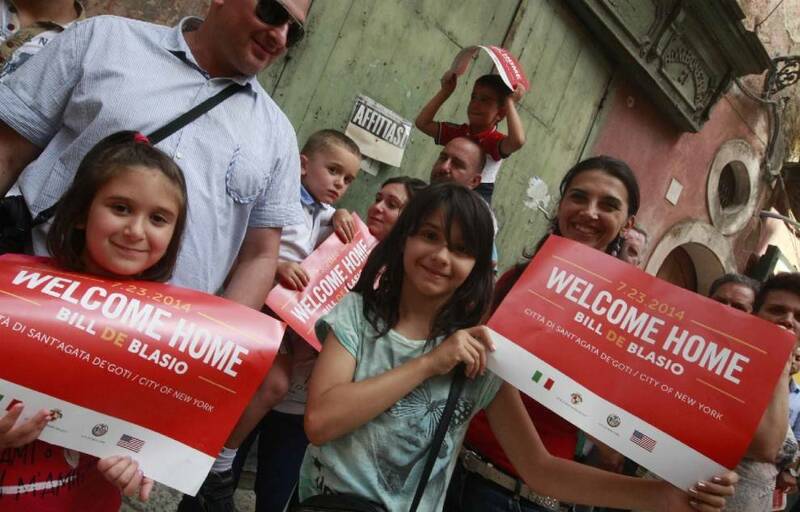 For De Blasio, this is the fourth time he visits the town of his grandparents and he said he will be back very soon. Tomorrow he will be in Grassano, near Matera, which is the town where his grandmother was born.